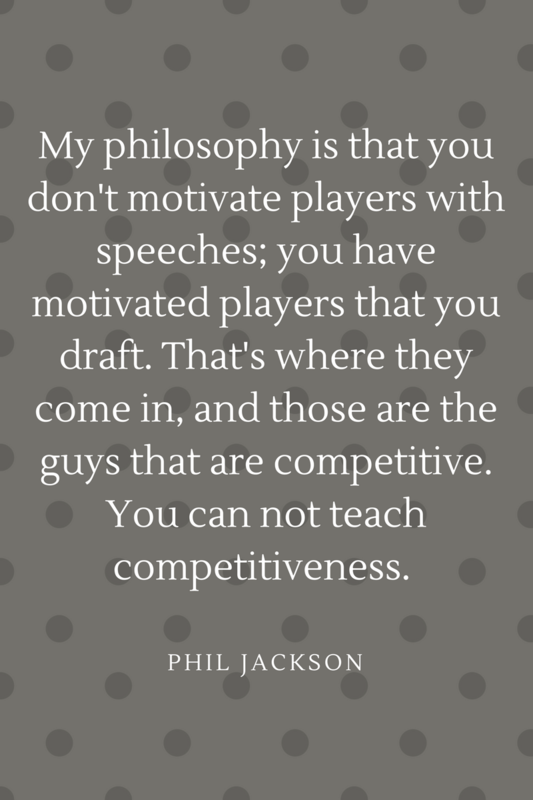 My philosophy is that you don't motivate players with speeches; you have motivated players that you draft. That's where they come in, and those are the guys that are competitive. You can not teach competitiveness. Phil Jackson - I am a thinker, strategist, marketer, leader, innovator, visionary, opportunist, networker and the go-person for your business.